We all know gym memberships can be really expensive and to top it all, eating healthy comes at a hefty price too. All the Maggi you’ve been eating might be cheap but it’s not doing you any favours health wise. Losing weight can be an expensive and time consuming affair but there are a few small things that you can do that will go a long way in making you fitter. We’ve compiled a list of the little things that you can do that won’t take too long and help you lead a healthier lifestyle. 1. Take your time while eating your meals, there’s no need to rush. You might have an immensely busy schedule but you need to devote proper time to eating your meals. Eating on the go and in a rush will only lead to over-eating. In addition, your body can make better use of the food you’ve eaten when it’s properly chewed so remember to eat slowly! 2. Pack your meals from home. You’re broke so the best thing to do is take home cooked, healthy meals to work. This will not only help you save money but also help you cut out the junk from your diet. 3. Cut out the alcohol from your diet all together. This might not be the easiest thing to do but it is the quickest method to save a huge chunk of money and cut down on a large amount of calories at the same time. Plus, alcohol also gives you the munchies so you land eating more when you’re drunk adding even more calories to your roster. 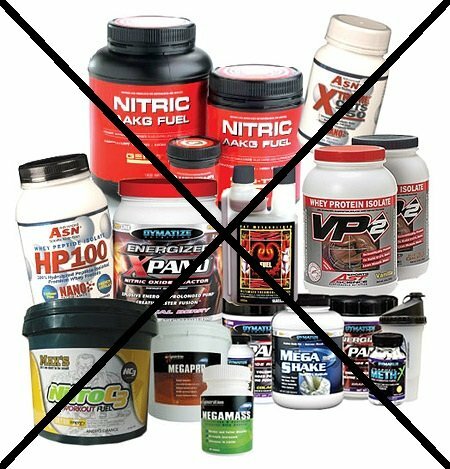 Supplements are quite expensive and quite useless if not combined with a proper workout regime. Some supplements can even be harmful for you if not taken properly. You can look into making your own supplements for an energy boost before hitting the track. 5. Walk wherever you can. 6. Use your body weight to work out instead of hitting the gym. You can YouTube hundreds of videos that will teach you how to exercise at home using your body weight instead of investing in an expensive gym membership. You can even invest in exercise bands from Cosco that won’t cost you a lot and greatly assist you with your workouts. 7. Spend the money you have wisely. Invest in a bottle of Olive oil and substitute it for your regular oil. Olive oil can serve as a tasty salad dressing and is also really good for the heart. Eat lots of Almonds as they help torch fat and support lean muscle. 8 .Stick with your efforts even if you don’t see results immediately. Losing weight takes a long period of time and it’s unlikely you will see results instantaneously. There are no shortcuts because losing weight isn’t just about looking good but also about becoming healthier and that’s what your end goal should be. If you consistently work towards this goal you are bound to feel better over a period of time and you will feel the change in your body.